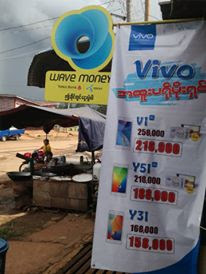 Mobile Money Asia: Micro and Small Businesses: the missing link for digital financial inclusion? Micro and Small Businesses: the missing link for digital financial inclusion? For most Indonesians, micro and small businesses are a significant part of life; this is especially true for those living below or near the poverty line. They are more likely to spend their money at a small local shop or business. If they have a job, it is probably from a small business. And if they ever scrape together enough money to start a business, it will start as a small one. Despite the huge important of these businesses for people’s lives, most banking products are aimed at personal transactions. This is especially true for mobile money, which has too often relied on the “Send Money Home” template of M-Pesa in Kenya, targeting personal domestic remittances as the key activity that would drive customers to the service. TNP2K, in conjunction with Microfinance Opportunities and Spire Research, has recently published research into the behaviours and demand of Micro and Small Enterprises (MSEs) in Indonesia. We conducted surveys and focus groups to try to get a picture of the current financial lives of over 400 MSEs and assess the potential demand for Mobile Money and Branchless Banking. Unsurprisingly, business is done mostly in cash. Suppliers and customers are generally located close by, so transactions are done in cash. There is an opportunity to digitize some of these payments, but businesses are not currently feeling that there is enough pain in dealing with cash for their supplier payments that this will become a compelling transaction. On a more positive note, businesses are interested in saving their money. About 85 of the respondents have money left over at the end of the day at least half the time, but only a third put this money into the bank. For the others, there is considerable interest in saving the money if it could be made very convenient and fast. Mobile Money or Branchless Banking could fill a significant niche here by giving small businesses the ability to lock away some of their savings at the end of the day. Traditional banking in developed countries offers a “Night Safe” or a “Night Depository” drop box for small businesses to put their end-of day takings. With some good product design, Digital Financial Services should be able to provide a modern equivalent by allowing MSEs to deposit their money at agents, not only for overnight safekeeping but also longer term savings. The full report is available for download from the TNP2K website.